We looked at the top 1 Ping Pong Tables and dug through the reviews from 4 of the most popular review sites including BestReviews, Best Outdoor Ping Pong Tables, Pong Hero, A Table Tennis Racket and more. Through this analysis, we've determined the best Ping Pong Table you should buy. In our analysis of 39 expert reviews, the Kettler Kettler Top Star XL Ping Pong Table placed 8th when we looked at the top 9 products in the category. For the full ranking, see below. Checkout Kettler Top Star XL Ping Pong Table for a detailed review of all the top ping pong tables. Tabletop provides an impressive bounce. Coated with scratch-resistant paint. The entire table is waterproof. We are amazed at how the blue tabletop surface has remained so clear after all these years of being outdoors. Quality is pretty good on this model. This is a playing surface that can pretty much withstand anything and continue looking great and providing a good playing experience with a nice consistent bounce. The most fascinating feature about this Kettler Top Star XL Outdoor Table Tennis Table is the 7/8 inch original water-resistant taped up aluminum composite play-offs top with ALU-TEC™ giving it the Climate Control Technology, hence users can be sure of controlled contractions and expansion as a result of weather changes, making it the perfect outdoor ping pong table. Assembly is not simple and may require two people. The biggest drawback on this table is that there are no leg levelers. We often play with the table on aggregate rock which is notorious for uneven surfaces. Probably the biggest downside with this table is the assembly process. The table ships with many different parts and putting it all together can be difficult for some. 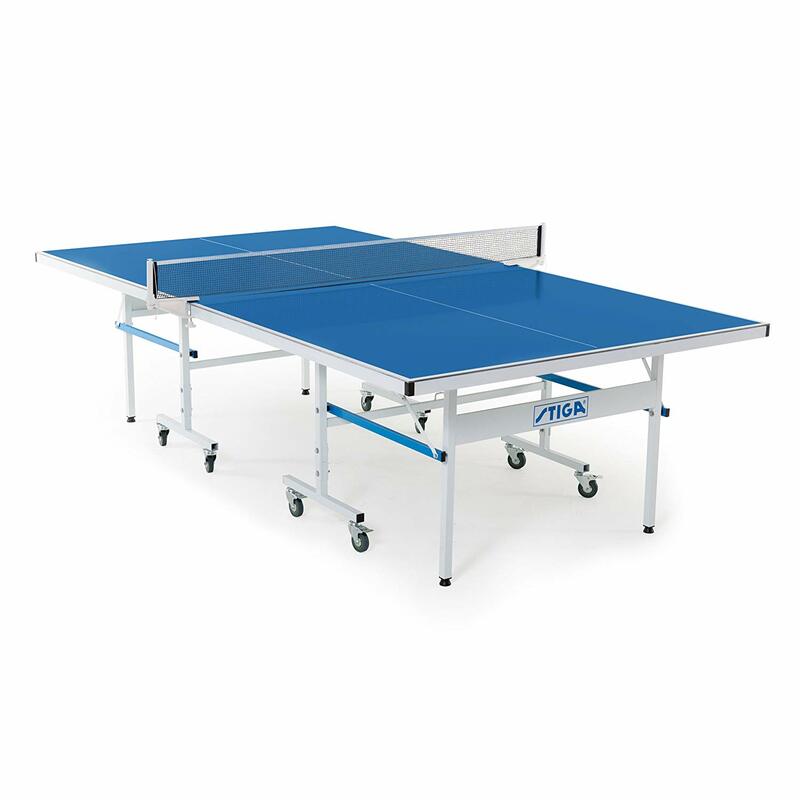 Even with the slight tournament features, this table tennis table is not tournament ready because the bounce on the table is below regulation standards, as a result of the climate control technology. The other major concern is assembly, assembling parts of this table after unpacking is somewhat complicated.